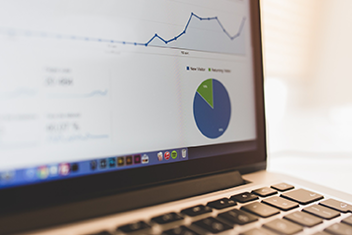 2016 Prof. Dr. Arno Hitzges and Prof. Dr. Thorsten Riemker-Gurki published a new survey concerning the use of SharePoint in companies in Germany. Hitzges and Riemker-Gurki asked 300 CEOs to talk about SharePoint in their company and how it well was integrated into their environment. • What back-end is used: SharePoint Server or Office 365 (SharePoint Online)? • What is SharePoint used for? • How satisfied are users with their solution? • How important is the usability of the platform? 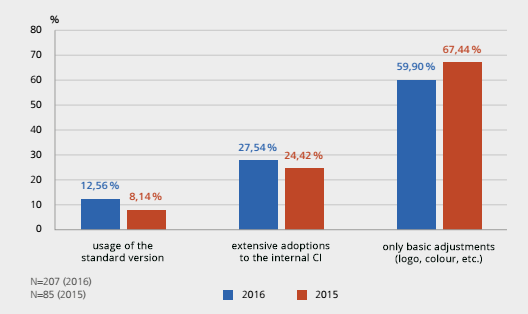 Microsoft focuses on Office 365 with its marketing but it turned out that more than 65% of the interviewed companies were still using SharePoint Server while only 17% had a combination of both Server and Online. Only 17% only used SharePoint as part of Office 365 cloud solution. Despite the rich set of capabilities, SharePoint seems to contain core capabilities people are very happy with. 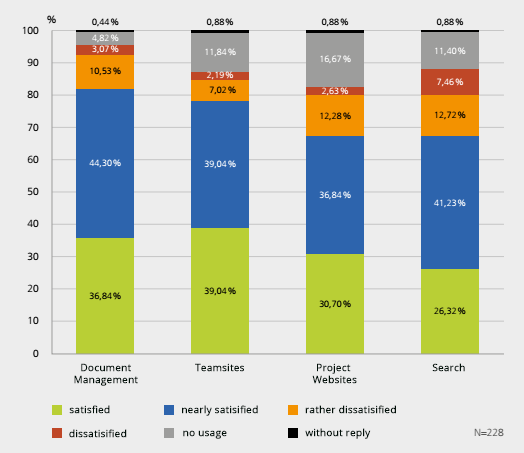 Document Management, Team Sites, Project Websites and the Search seem to be the ones people value and use the most. Over 60% of the companies use SharePoint for workflows. But only 12% of them are happy with the capabilities which SharePoint is providing out-of-the-box. So Hitzges and Riemker-Gurki point out that this is one of the areas of SharePoint where companies start using SharePoint experts and system integrators to build their complex Workflow applications. Do you like the usability? One of the most important issues concerning SharePoint seems to be the usability of out-of-the-box SharePoint. Only 5% appreciate the usability very much and 52% think it is good. Compared to the last few years there has been an improvement, but people still ask for better navigation and document management. In an ordinary five star review system, SharePoint would have only 3 stars. Another interesting question of the survey is how customized the used business solutions of SharePoint are. Only 12% use the platform straight out-of-the-box. Almost 60% have at least some customization like design etc. and over 27% made major adjustments and tailored it to their exact business needs. Users really count on SharePoint experts when it comes to SharePoint integrations and customizations. SharePoint becomes a very powerful tool when it is customized in the right way to fit the needs of the business. So after 15 Years of product development, companies still need adjustments to apply their business logic on their Microsoft SharePoint environment. The survey shows many opportunities for system integrators and consultants. A SharePoint Business Solution needs to be easy, secure and extensive! If you are interested in experiencing how to build up Forms easily or how to get a nice looking SharePoint, just take a look into our eBooks about skybow Theme Designer and skybow Rich Forms.